Montefiore's Division of General Internal Medicine provides exceptional primary and specialty care at our hospitals and at more than 20 outpatient locations in the Bronx and Westchester counties. 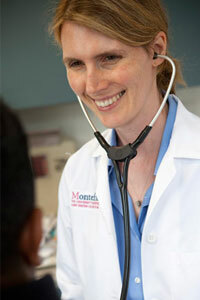 Our Division offers comprehensive care in medical specialties for adult patients. Our experienced physicians provide advanced clinical care in internal medicine, and serve patients who need substance abuse services through a partnership with the Department of Psychiatry and Behavioral Sciences at Albert Einstein College of Medicine. For more information or to make an appointment with the Division of General Internal Medicine, please call or visit one of our healthcare sites.